The fifth and most recent chapter in the development of Slovak ballet began in 1990. Apart from the fact that the Slovak National Theatre – Ballet, the Ballet Ensemble of the State Theatre Košice, the Ballet Ensemble of the State Opera in Banská Bystrica and partially also the Ballet Ensemble of the Jonáš Záborský Theatre in Prešov followed their own artistic and personnel path, the period was characterised by several developments. One major development of the period concerned the emergence of a young generation of Slovak choreographers, including Ondrej Soth, Igor Holovac, Jan Durovcik, Vladimir Marusina, Zuzana Hajkova, Dana Dinkova and Libor Vaculik. The period was also characterised by several attempts to form new groups with different artistic orientations linked with these individuals. There were efforts to set up independent professional ballet companies, albeit on a ‘temporary solution’ basis. Such attempts started with a group of professional dancers (mostly from the Slovak National Theatre) who set themselves up as the Bratislava Ballet and with Jan Durovcik’s short-lived ‘Ballet TORZO’ project. Other groups, including the now-defunct Chamber Ballet of the Eastern Slovak State Theatre with its roots in the Dance Studio of the Alexander Duchnovič Theatre, and the Slovak Chamber Ballet, lasted somewhat longer, even if they too ultimately met the same fate. Slovak contemporary dance had begun to take shape in the early 1970s with the work of modern ballet companies, but only developed substantially after 1990 with the formation of independent groups such as Dance Studio – Professional dance theatre, Bralen Dance Theatre, Slovak Dance Theatre and the now-defunct Bratislava Dance Theatre, as well as the establishment of the Contemporary Dance Association and of different festivals presenting performances by independent choreographers (the majority of whom were graduates of the Academy of Performing Arts). A further development concerned the presentation of Slovak dance abroad and the international confrontation of the interpretational ambitions of Slovak dancers and their self-realisation abroad (among others Mario Radacovsky, Roman Lazik, Martin Blahuta and Nina Polakova). At the end of the 1980s the position of Artistic Director of the Slovak National Theatre – Ballet was filled by critic and theorist Emil Tomaš Bartko. His tenure was an ambitious time in terms of dramaturgy as well as space for free movement. This period finished at the end of 1996, when the position of Artistic Director was for a short time filled by Gabriela Zahradnikova (November 1996-September 1997) and later taken over by Jozef Sabovcik (September 1997-December 1999), who followed her line of work. During this period members of the ballet company, especially soloists, were almost completed replaced and this resulted in some considerable impairment of its qualities. The situation changed at the start of 1999, when Emil Tomas Bartko returned as Artistic Director of the SND Ballet Ensemble. His return was accompanied by a return to the Slovak National Theatre stage for many excellent dancers, ballet masters and teachers such as I Holovac, R Lazik, L Alpijeva, R G. Avnikjan, I Ciernikova and others. The dramaturgy was once again opened up to a whole range of ballet literature and a colourful scale of choreographic statements. On 17 October 2006 the position of Artistic Director was taken over by Mario Radacovsky, a former member of Les Grands Ballets Canadiens. Since May 2010 the SND Ballet Ensemble was led by a long-time soloist and the head of the National Theatre Ballet Ensemble in Prague Vlastimil Harapes. 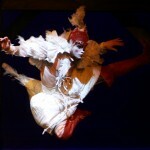 In May 2011 he was replaced by the soloist of the Košice State Theatre Ballet Ensemble Andrej Suchanov. The next period in the history of the Slovak National Theatre – Ballet starts at the beginning of the 2012/2013 season, when the leadership of the Slovak National Theatre – Ballet went to its long-time protagonist Josef Dolinsky Jnr. with a vision to build a ballet group capable of performing great classic titles and also to give space to original works. The Slovak National Theatre – Ballet continues in the project Contemporary dance in the Slovak National Theatre which was created to support the independent contemporary dance scene in Slovakia. In 2014 a choreographic workshop in cooperation with the Department of Dance at the Academy of Performing Arts was created as a platform for the creation and presentation of original works. After 1989 a new generations of artists started to be active, represented by the names Irina Ciernikova, Nora Gallovicova, Ingrid Murcekova-Kaciakova, Andrea Svobodova, Nikoleta Stehlikova, Klaudia Bittererova, Nina Polakova, E. Jencková-Sklyarova, Barbora Kubatova, Silvia Najdena; Jozef Dolinsky Jnr., Jozef Goga, Igor Holovac, Juraj Siska, Juraj Vasilenko, as well as Mario Radacovsky, Livia Hyllova, Michal Zabavik and Roman Lazik who brought the first medal from the world competition in New York; Martin Blahuta, Andrej Kremz, Roman Novitzky and Juraj Zilincar. There have been artists from abroad, too, such as Muhlbauer-Peron Tomoko Nomura, Sandra, Marina Zheleznyakova, Romina Kołodziej, Viola Mariner, Adrian Ducin and others. Activities in the Ballet Ensemble of the State Theatre Košice remained without change under Juraj Gog’s leadership until 31 August 1996. From 1 September 1996 his position was temporarily taken over by the soloist Marta Zecová, who in 1998 was appointed Artistic Director of the ballet. Under her leadership, the company introduced two new Slovak choreographers, Dana Dinkova, a graduate of the Košice Private Dance Conservatory, and Jaroslav Moravcik, a graduate of the Academy of Performing Arts (VŠMU) who began his artistic career with the Slovak Folk Art Ensemble (SĽUK). On 11 January 2000 leadership of the Košice Ballet was taken over by Ondrej Šoth, a representative of the new generation who had previously acted in the Slovak National Theatre and in the Czech Republic. He led the ballet ensemble next 10 seasons until 2010. After O Soth left Adrej Suchanov took over his position with a short break during which he worked in the Slovak National Theatre – Ballet. The 1990s also managed to activate the Ballet Ensemble of the State Opera. During two seasons, 1993-1995, the company was led by Zuzana Hajkova, who later left to manage the Dance Department of the Ján Levoslav Bella Conservatory in Banská Bystrica. The new Artistic Director during 1995-1997 was Jurij P Plavnik. His tenure coincided with a brief abortive attempt to reunite the Jozef Gregor Tajovský Theatre in Zvolen and the State Opera in Banská Bystrica as the Central Slovak State Theatre (1996-1999), after which the two companies again separated. During this period on 1 December 1997 the new Dance Studio was established under the leadership of Zuzana Hajkova, forming an independent part of the State Opera. After its separation in 1999 to become the independent Studio Tanca in Banská Bystrica, the position of Artistic Director for the reformed Ballet Ensemble of the State Opera Banská Bystrica was filled by choreographer Dana Dinkova (4 September 2000-31 July 2003, 1 March 2005-30 June 2005 and since 1 September 2010) whose leadership turned it into a classical dramatic ballet company. In the years 2003-2006 she was replaced by M Mikes and in 2006-31 July 2007 by Jozef Dolinský Jnr., a former soloist with the Ballet Ensemble of the Slovak National Theatre. Jonáš Záborský Theatre in Prešov returned to its independent production once again in 2002 with the production of PA. DI. PA. RÉ led by J. Moravcik. The ballet ensemble as an independent body of the Prešov theatre ceased to exist on 1 July 2005 following a change in the structure of the theatre and after the Opera and Drama Ensembles ceased to exist, too, and one artistic ensemble was created.